← DAY 2 #RRBC #RWISA MEET KAREN INGALLS @KIngallsAuthor! DAY 3 #RWISA #RRBC MEET LAURIE FINKELSTEIN @lauriebethart! Throughout my lifetime three stages will haunt me. Stage one is the onslaught of rounds. The crisis mode. The shock and pain. Stage two is being slammed down, breath taken away. Sabotaged. Terms and feelings of the emergency are acknowledged. Stage three is advocacy for myself. Stand. Breathe. Make decisions. Tools in hand to counteract the depression and anxiety and OCD. Utilize appropriate response and care. Encouraged by others, I enroll in Toastmasters. Time for me to improve my public speaking and thinking on my feet. Professional and compelling ways of expressing my views is a talent I want to possess. Persuasive interactions are in reach. My computer with Google as my guide, I find the Toastmasters website. The rules and guidelines answer many of my questions. Ready to take on the challenge, I enter my credit card information and become a member. A direct thrust knocks me down. At first, I don’t understand what attacks me. My heartbeat begins speeding up. My gasps for air speed up. My head spins with dizziness. The mighty effects of terror hammer me to the ground. Despair sinks me deeper into the attack. Stage one. The thought of standing before people enunciating in a clear voice avoiding “ums” and “ahs” strikes with negative force. In a semi-frozen state of fear and regret, I struggle to make sense of my attacker. Groups of Toastmasters are warm, safe environments to learn public speaking and leadership skills. “Warm and safe,” I remind myself. Still my heart beats faster and my breath diminishes by the second. A ghost of recognition appears before me. Panic is familiar. Stage two. My history tells me to take an extra Klonopin. Scared to death is not an option. Upon reaching my medicine cabinet with weak, wobble-producing legs, I discover my pill case empty. In my next move, I check the bottle. Empty. My heart beats faster and my limbs go numb. Sweat trickles down my forehead. My last attempt before I collapse in a heap of despair, I call my pharmacist. My trembling voice separated from my body explains my attack and lack of pills. “How fast can you fill the prescription?” my quivering voice speaks out. “Is ten minutes okay?” the pharmacy technician asks. Stage three. My inner voice tells me to be brave. Think of a serene place. My happy place. Take deep soothing breaths. My toolbox is ransacked for more options until I come to grips with the present. The dispensary is too far to hike, so I must drive to pick up my pills. Cranked engine. Foot on pedal. Brake released. My self-talk takes me on a wild ride to the drug store. My trembling legs walk me to the back of the aisles. The friendly face of the tech reassures me. The credit card transaction is signed with a jellylike hand, completing the purchase. Back in my car, I down the remedy with tepid water from an old bottle sitting in my trash. My panting is steadier, my heart pounding a little less. Within thirty minutes, I am relaxed, able to pursue my day. Ready to reassess my decision to become a Toastmaster. The choice is sound and important. My bulletproof vest is worn as a badge of honor and survival. Without my garb, I would be a prisoner in my house, hiding in bed. Sick to my stomach. Useless. The stigma of mental illness must be broken. My vest is worn with pride. I am a survivor. I am the voice of one in every five Americans experiencing the assailant. I am not alone. This entry was posted in RWISA MONTH and tagged Bulletproof Vest, LAURIE FINKELSTEIN, WATCH "RWISA" WRITE. Bookmark the permalink. 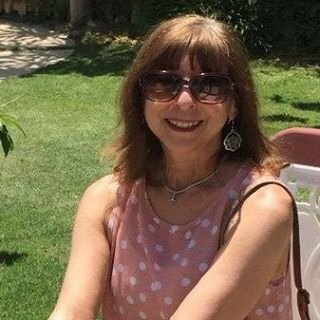 8 Responses to DAY 3 #RWISA #RRBC MEET LAURIE FINKELSTEIN @lauriebethart! Laurie, I reblogged this on mallie1025@wordpress.com because more people need to know about and understand this disorder. Thanks for sharing it in such graphic words. Its another way to get the word out.Thank you Micki. Such a creative, well-written post! Not many people understand OCD, and Laurie has done an excellent job in presenting a typical OCD’s person’s life. I have reblogged this on Mind, Pen, Spirit at http://www.kareningalls.blogspot.com. Shirley, I appreciate your honest and forthright comment. And, thank you for hosting. I certainly don’t understand it and don’t know what it stands for. Thanks Karen for visiting & reblogging on behalf of Laurie. Sharing your experience with Toastmasters and just dealing with a mental illness goes right to my heart. I attended toastmasters years ago because it was available to me free of charge at my place of employment. I just had to get up earlier than the norm in order to attend and take advantage of the opportunity. Also, I am dealing with mental illness in my family as guardian to a sibling. Getting a perspective of it from you has enlightened me a little about just what happens when you are in the throes of a breakdown. I have often imagined what it must feel like. Thank you Laurie for sharing your story with us. I don’t know if it is about you or if it is fiction; I just know that it is the right information at the right time for me. I appreciate you for sharing it with us.